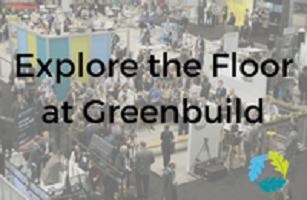 Registration is still open for the Greenbuild International Conference and Expo—the in-person experience for sustainable building. We’re honored to be a sector partner this year. After Greenbuild, you’ll return to the field powered by new education and discoveries that will empower your decisions, influence your actions, and inspire your dialogue—prompting you to share sustainability with others. Learn more about why you should attend, and then register for a four-day or three-day conference pass. Education tracks include Approaching Zero, Advancements in Resilient Design, and Community and Social Equity. And, please be our guest! Use code REGIONALGB18V2 at registration to claim your free expo hall pass. The expo hall is open on November 14th and November 15th, from 10 AM to 6 PM both days. We hope to see you there!